Mobile games usually aren’t good art. That’s not to say they aren’t fun – Flappy Bird The Short Story Of Flappy Bird [Weird & Wonderful Web] The Short Story Of Flappy Bird [Weird & Wonderful Web] Few mobile games enter into the collective consciousness of the mainstream in the way Flappy Bird has done. 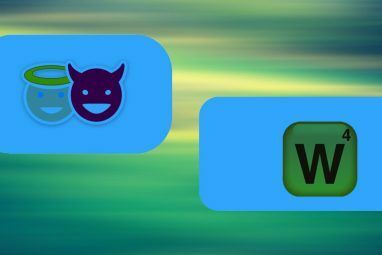 It passes into Internet folklore, but these videos will help to preserve its virality. Read More and Super Hexagon Getting Retro with Super Hexagon: A Mind-Bending Rhythm Game for Android Getting Retro with Super Hexagon: A Mind-Bending Rhythm Game for Android This is probably the hardest game you're going to have on your phone. Read More are entertaining. These games are great at filling in the empty hours of your life. Still, if The Last Of Us is filet mignon, mobile games are cheese balls. They’re neither memorable nor particularly moving. As time has gone on, a handful of titles have cropped up that go a little further, and manage to combine a touch-oriented UI with art and storytelling, to give an experience that’s a little bit more meaningful. If you’re tired of playing yet another flappy bird clone 3 Flappy Bird Clones for Android That Are Actually Great 3 Flappy Bird Clones for Android That Are Actually Great The problem with Flappy Bird clones is that there are just so many of them, and most of them are plain terrible. Read More (let’s be honest, nobody is going to do better than Maverick Bird), read on. Pixel art has been done to death – at least, that’s what I thought before I played Sword & Sworcery, a tap and drag adventure game created by Capybara Games. Most games with pixel art use it to avoid having to make real assets, and it generally ends up looking cheap. Sworcery is the best example of the medium I’ve ever seen. The game has a unified aesthetic, a tight color palette, and more atmosphere than you can shake a good-sized stick at. The world of the game is lush, detailed, and begging to be explored. Then there’s the soundtrack. Along with being a videogame, the title also doubles as a concept album of electronic music (hence the “EP”). The score, composed by singer-songwriter Jim Guthrie, blends chiptunes with modern rock synthesizers and orchestral strings. The soundtrack contributes to the lonely, soulful atmosphere of the game, and it wouldn’t be the same without it. This game is quirky. It’s the quirkiest. Like, Twin Peaks quirky. The characters communicate in a nonchalant blend of high fantasy and bro-speak. You can read your dog’s mind. The narrator wears a business suit and is referred to as ‘The Archetype.” Some in-game events are dictated by the phases of the moon. By and large, this isn’t a bad thing. The game has a bushel of personality. However, there are definite moments where it goes too far. Not giving the player any guidance on the puzzles gets old fast, as does the aimless backtracking that’s often needed while you figure out what to do. If you get stuck in this game, just look up a walkthrough. It’s not you, it’s them. On a much pettier note, the game uses rotating your device for a few gameplay purposes, including entering and leaving combat. This is cool, but the rotation detection is really sensitive, and I found myself flipping in and out of combat every time I shifted in my seat. This minor annoyance rises to the level of genuine frustration precisely because the game is so immersive. Godus is a civilization-style god game from indie studio 22cans which was Kickstarted in 2012, drawing in more than $700,000 to fund its development. The game is built around a novel terrain sculpting mechanic that lets you drag through layers of the Earth to create habitats for your tiny worshippers, helping them to expand and cross the seas. Godus sports clean visuals and an attractive take on the low-poly aesthetic. It plays well, and you can lose hours to it, getting lost in the cycle of expansion and resource collection. The gameplay isn’t deep, but it does hit the right hedonic buttons. That being said, be careful looking up reviews, because people hate this game. Not just a little – a lot. The primary complaint is that the game is “Free-To-Play.” In other words, while the game is free, its core gameplay is built around microtransactions. This isn’t an issue by itself A Selection Of The Best Free-To-Play Steam Games A Selection Of The Best Free-To-Play Steam Games Content delivery service Steam is a real money-spinner for Valve, prompting publishers like EA to shy away from it in pursuit of their own system. That doesn’t mean there aren’t a couple of free gems... Read More – Team Fortress 2 is one of my favorite games, and is funded entirely by microtransactions. The question is whether the developers are willing to make the game worse to make the in-game transactions more profitable. In Godus, players regularly run into barriers that prevent them from progressing without waiting hours of real time, or sinking twenty dollars into the game to skip the wait. The prompts to spend real money when you run out of resources feel predatory – worse, they break the otherwise pristine aesthetic of the game. Like arcade cabinets of yore, engineered more for bilking quarters out of kid than being fun, the basic economics of the freemium model will ruin games if you let it, and Godus has symptoms of the disease. Some of the anger is because Godus was a Kickstarter title, and its early development was funded by backer donations. There’s also been some kerfluffle over the game’s failure to achieve its promised scale, failure to meet its Kickstarter stretch goals, and general delays. To say the meanest possible thing I could say about this game: when I found out Peter Molyneux was involved, it suddenly made perfect sense. The Kickstarter backers of this game have every right to be upset. However, I do think that if you take the game on its own merits, it’s still pretty enjoyable. Yes, the freemium “features” are annoying, but the game is fun in spite of that. It’s not Civ 5, but it could certainly tide you over on a long flight. Limbo is a dark, surreal puzzle-platformer, and veteran of many humble bundles. It recently dropped on Android, and if you haven’t played it, this is a good excuse. Limbo follows the progress of a small child through a dim, quiet world, facing off against dangers including bands of feral children, colossal spiders, bear traps, drowning, and electrocution. The game takes a perverse delight in murdering its protagonist in a variety of brutal ways, made more upsetting by their minimal, silhouetted portrayal. Almost every element of the execution of Limbo is pitch-perfect. The subtle, creepy score conveys a startling variety of moods. The art is subtle and evocative, and basically every screenshot you can take in this game looks like a painting. The physics puzzles are well designed, and the objects seem to have weight. The game feels tangible, and in some cases literally drips with atmosphere. Limbo is my favorite platformer, ever, and I can’t recommend it strongly enough. It’s wonderful, and you should play it immediately. 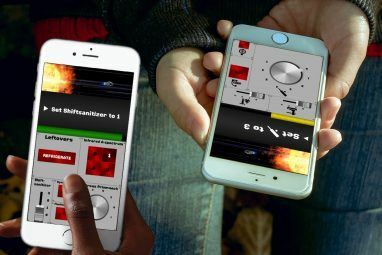 As a mobile game, the mechanics largely work – although the swipe mechanics (for building up momentum on swings and jumping) felt ‘soft’ and were challenging to time. This made some of the puzzles more frustrating than they needed to be. Limbo has always struggled from floaty platforming mechanics, and the move to mobile hasn’t helped anything. The Wolf Among Us is a point and click adventure game with a mean look in its eye and knuckle tattoos. TWAU is a product of Telltale Games. I’m still not a hundred percent clear on what happened to Telltale. They spent years making mediocre adventure games based on popular franchises. Then they did “The Walking Dead”, and transitioned, with no warning, to being a company that makes fantastic adventure games based on popular franchises. The Wolf Among Us, true to form, is a fantastic point and click adventure game that puts players in the shoes of Bigby Wolf, the sheriff of a immigrant community of magical beings living, in secret, in New York City. If that sounds like a kid’s game, you couldn’t be more wrong. This game plumbs pretty deep into the depths of human (and non-human) depravity and is not appropriate for children. Over the course of its ten-hour-ish play time, the game evolves into a surprisingly nuanced portrayal of life under a corrupt system and the challenge of balancing your personal and professional obligations. Several of Telltale’s previous games also opted for a cartoon aesthetic, but TWAU is the first one that nails it. This game is gorgeous. The visuals also lend themselves well to a small screen. Every screenshot looks like a comic book panel, and the character’s faces, while not photorealistic, convey a surprising amount of emotion and nuance. The game also runs well on my LG G2, so anyone with an up-to-date phone should be in the clear. While TWAU was developed as a PC game, I found that the controls made a lot more sense on a touchscreen 5 Mobile Games With Phenomenal Touchscreen Controls 5 Mobile Games With Phenomenal Touchscreen Controls Games on Android and iOS deserve touchscreen controls made for a touchscreen -- not ported from a gamepad. These five games use the touchscreen to its fullest. Read More . Most of the gameplay consists of navigating dialog trees and tapping on objects in the environment to get Bigby to go and look at them, which works fine on both platforms. The combat in the game is handled via a series of scripted quick-time events and environmental prompts, which are much less cumbersome on the touchscreen. The game is an impressive example of a mobile port that benefits from the new medium. Monument Valley is a puzzle game created by indie developer ustwo studios. The world takes the form of a pastel-colored M.C. Escher print, with alien geometries and optical illusions sprawling across the screen. The player controls a small girl as she solved geometry and logic puzzles to make her way from monument to monument. Because the game is viewed from an isometric perspective, you can walk on orthogonal surfaces, and exploit optical illusions and impossible pathways to get from place to place. The story is minimalistic, but helps to build the sense of wonder that characterizes the game. The visuals and sound design, likewise, are clean and elegant. This is, hands down, the prettiest game on this list. That being said, it does have a few serious flaws. First, it’s on the easy side, which is a shame, because its mechanics are rich enough to create some real brain twisters, if the developers had pursued that angle. Second, it’s short. You can finish it in an afternoon if you don’t stop to appreciate the gorgeous level. The $2.00 DLC Forgotten Shores helps to bring the length up, but it’s still more of a snack than a meal. The statistics the developers released on its creation show that Forgotten Shores cost almost as much as the base game to develop: $549,000 vs. $852,000. This would seem to support the idea that due to the detail and artistry of the game, most of the expense of development went into creation of art, and not development of mechanics. Unlike Antichamber or Portal, this game can’t simply recombine old assets to create new content. Still, the brevity is disappointing, and is the strongest argument against picking up this otherwise excellent game. 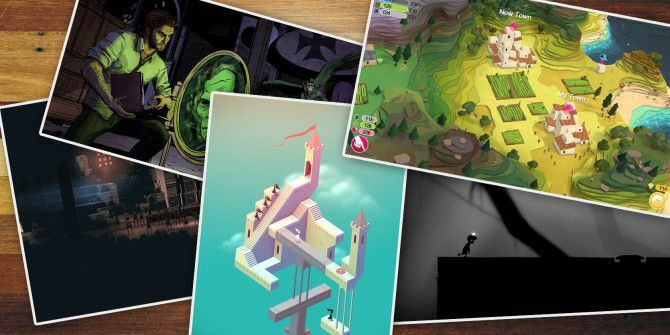 What do you think are the most beautiful games available on iOS and Android? Share your thoughts in the comments! 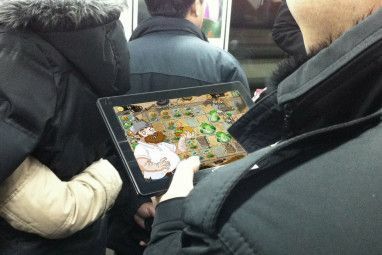 Explore more about: Adventure Game, iPhone Game, Puzzle Games. Assassin’s Creed Unity Is Free on PC (Temporarily)Facebook Hello vs. TrueCaller: Which Is the Best Caller ID and Dialer App for Android? I am addicted to the lifeline-games, bringing the good old text adventure to the possibilities of mobile devices. And they are beautiful minimalistc. Another extremely beautiful minimalistic game is rymdkapsel, a mixture of building, populating and defending a space station and Tetris ;-). Missing also on this list Thomas was alone - a very addictive minimalistic Jump & Run with a beautiful soundtrack. Retro friends might like VVVVVV, a 8bit-Style Sci-Fi Jump & Run Puzzle. Mentioning flappy bird in the same breath as a masterpiece of fast twitch gaming like super hexagon is unforgivable. "...and the character’s faces..." Unless you meant one character with several faces, you should use "characters'" here - possessive plural. Will have to try that game, though. Starts normally. Nothing fancy. But so much addictive. Only problem, if there were more levels.